Is it really just about driving sales though? Microsoft has announced that it will be reducing the price of all boxed retail versions of its Vista operating system. In some developing markets the price will reportedly be slashed by up to 50 per cent, while other more mature markets may not witness such a dramatic fall. 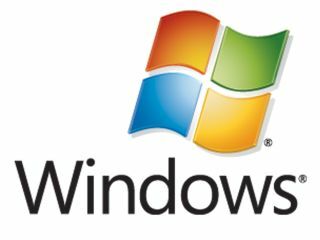 Speaking on the corporation’s US press site Brad Brooks, corporate vice president for Windows consumer product marketing, confirmed that the price changes “will take effect globally with the retail release of Windows Vista Service Pack 1 later this year”. When asked what prompted the decision, Brooks replied that various price promotions in the past 12 months clearly demonstrated that a lower price stimulated consumer demand for Vista from buyers he described as being “non tech enthusiasts and build-it-yourself types”. In other words, having already snared the early adopters and self-build enthusiasts, Microsoft is now turning its attention towards the general sector of the market. It hopes to win more customers by duping them into believing they are bagging a bargain. Fear of the Vista leapfrog? In addition, it could also be argued that Microsoft feels the time is right to give Vista an aggressive sales push to prevent some XP users from ‘leapfrogging’ it altogether. Although XP is due to be pulled from the shelves in June, Microsoft has pledged to support XP until 2014 – long after the estimated launch of Windows 7 in 2010. Microsoft’s reasoning here could well be that if XP users can’t be tempted now, will they ever be? Of course, it should be pointed out that retail boxed copies to individual consumers only makes up about 10 per cent of Microsoft’s total Vista sales. Microsoft sells the other 90 per cent of Vista licences to third-party consumer goods manufacturers to pre-install on laptops and desktop PCs.